Give a tax deductible donation to our volunteer non-profit organization. All proceeds go to art and music programming for children and adults. Todd, Kiaralinda, Heather and the SHAMc Collective. In this session of Handbuilding with Jan, we will be focusing on jewelry ideas - beads, pendants and earrings. We will work in porcelain and other clay materials. Jan will have a variety of samples and we will explore your creative designs and ideas. In Part One, we will work in clay and do some glazing. Part Two will include glazing (if needed) and assembling your custom made components into wearable jewelry. If jewelry isn't your calling, you may also make mosaic parts or create an independent project. Please let Jan know if you elect to do either of these so that she may bring appropriate supplies. Call or text her at 727-612-4110. Join us on Wednesday, April 24 for an evening of storytelling. 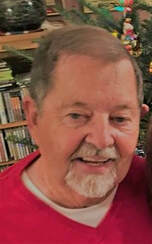 Walt Belcher, a former Tampa Tribune columnist and newspaper reporter, is a known storyteller in the Tampa Bay area. Walt will offer a short talk on the craft of a good story and then the evening will continue with both novice and experienced storytellers sharing true and not-so-true stories with the audience. If you’d like to share a tale, please write it, memorize it and practice it before that evening. You will have about 7 minutes to perform your story if your name is drawn from the hat. Please arrive between 6:30 and 7 p.m. to add your name to the list. While we are not charging a cover, we will appreciate a suggested $5 donation, which will go toward prizes. Parking is free and available along Main St. or side streets in downtown Safety Harbor. The Cabaret Series Presents: Songs of Spring! price of tickets includes show and appetizers. ​Cash Bar Available for beer and wine. WATCH VIDEO BELOW TO SEE WHAT SHAMc is all about! Check out our 1st anniversary celebration!! 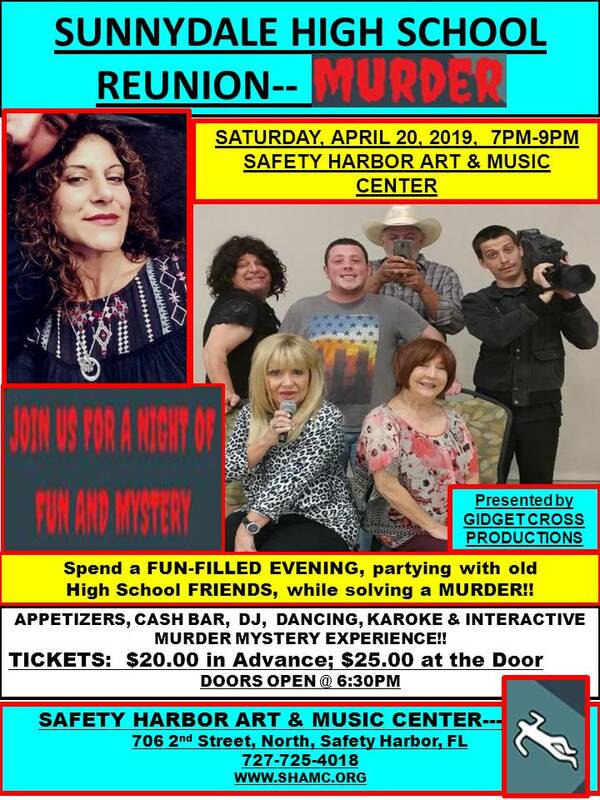 Special Thanks and much Love to all of our Volunteers and Attendees for Helping to make our 6th Annual Safety Harbor SongFest a Great Success!!! We can't do it without you!!!! "To promote knowledge of and education in the fine arts, the visual arts, and the performing arts". Shopping on Amazon now supports Safety Harbor Art and Music Center.....save the link below and shop away! Make a tax deductible donation to SHAMc through PayPal.